We’ve taken the most significant seals that are symbolic of the loyalty, duty, repsect, selfless service, honor, integrity, and personal courage and applied them to our professional military seal portfolio. 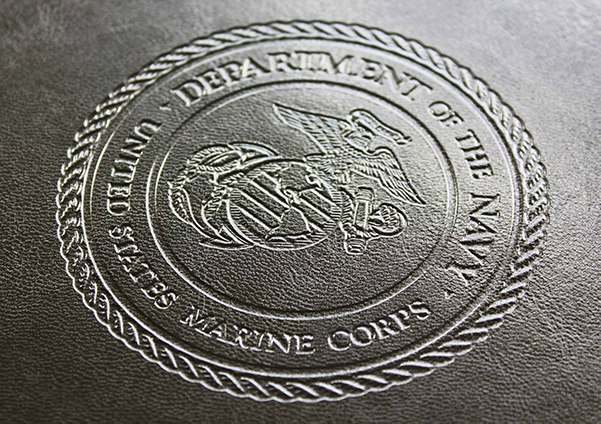 The rich texture of the debossed seal is symbolic of the heritage of the military branches. 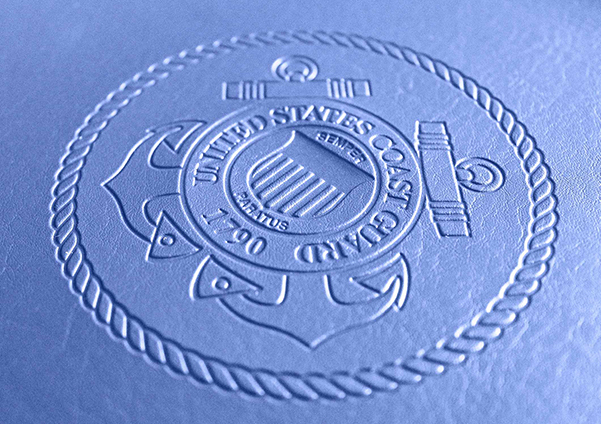 These portfolios express the leadership traits and principles of each branch. Each one is assembled by hand using padded covers and made in our factory in Tallmadge, OH. They are excellent quality and perfect for daily use and presentations. To assist the re-entry into the job market after discharge and help our servicemen and women preserve certificates of achievement earned during their time served. 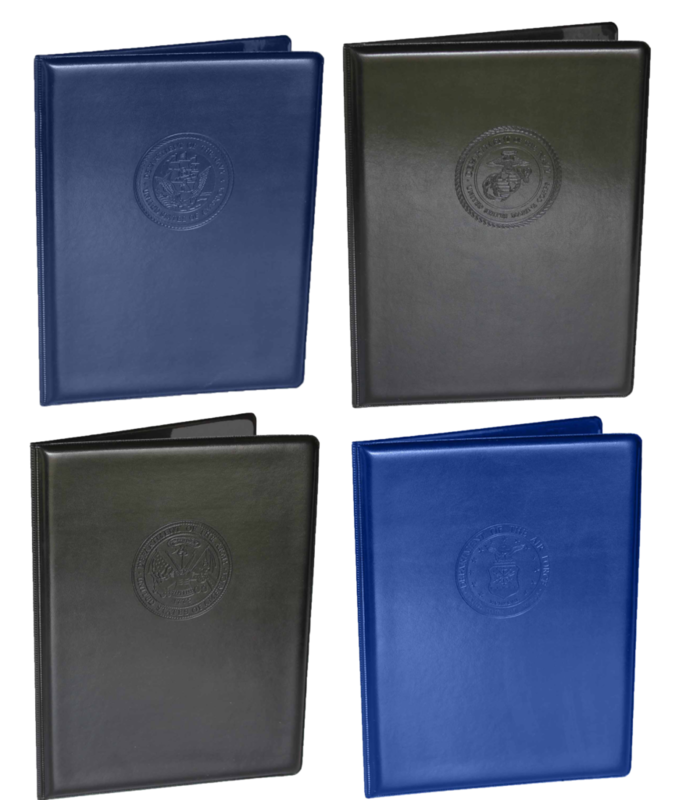 These beautiful portfolios proudly debossed with US military seals can be organized with all necessary documents and be sure to catch the attention of any prospective employer. If you’re serious about your troops success, provide them with the tools they need to continue their growth after discharge. A passport is a complimentary addition to all diplomas, certifications, awards, and qualifications. Match your portfolio with your specific branch of the army. Order your customized portfolio in different colors, custom debossing, suedes, and other grains. Want the words “HONOR”, “COURAGE”, “COMMITMENT” debossed on the cover? Interior pockets, pages, and sleeves can also be fully customized. Made in the USA. 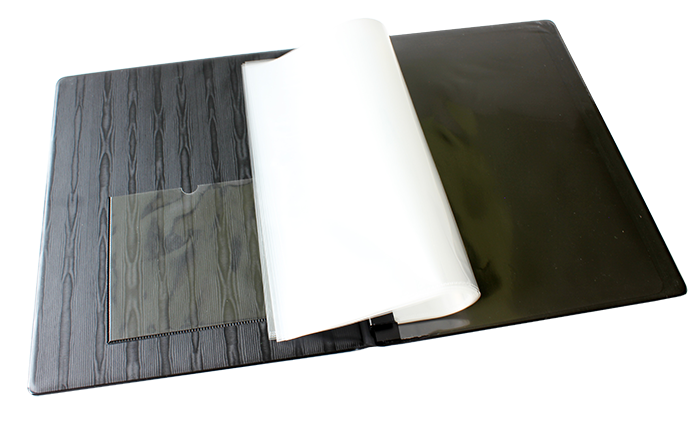 Order your customized Portfolio in different colors, custom debossing, suede and moire options. Choose from stock to full custom. Interior pockets, pages, and sleeves can be fully customized.